Welcome to my ceremony selection page. I provide nine different ceremonies to choose from with some additional readings that can be applied to any of these ceremonies so please review them and let me know which one interests you the most. Feel free to call me if you have any questions. After reviewing my ceremonies and you feel I would be the right officiant for your event, I will be happy to discuss my availability and pricing with you. I will wear either a suit or robe at your request. We have come together to unite this man and this woman in marriage, which is an institution ordained by God and recognized by the state and is not to be entered into lightly or unadvisedly. Do you (____) take (____) to be your wife, to love, honor, comfort, and cherish her from this day forth? Do you (____) take (____) to be your husband, to love, honor, comfort and cherish him from this day forth? (____) with this ring I thee wed. Take it and wear it as a symbol of the vows I have made to you today. We would like to take a moment to bless the hands of (____) and (____). For it is through the hands that we demonstrate our love and commitment to one another. Please face each other and hold both hands, so that you may feel the gift that they are to one another. They are being held by yours on your wedding day as you two promise to love each other for the rest of your lives. These are also the hands that will work alongside yours as together you build your future and share your inner most dreams and secrets together. These are the very hands that will passionately love you and cherish you through the years, and with the slightest touch will comfort you like no other. These are the hands that will hold you when fear or grief threatens to overwhelm you. The hands that you hold are the same hands that will countless times wipe the tears from your eyes; tears of sorrow and tears of joy. These too are the hands that will tenderly hold your children. These are also the hands that will help you to hold your family as one. God, bless these hands that you see before you this day. May they always be held by one another. Keep them tender and gentle as they nurture each other in their wondrous love. Help these hands to continue building a relationship founded in your grace. May (____) and (____) see their four hands as healer, protector, shelter and guide. We ask this in your name, Amen. Minister: You (____) have declared before all of us that you will live together in marriage. You have made special promises to each other, which have been symbolized by the joining of hands, taking of vows and the giving and receiving of two rings. So it is with these in mind and by the authority given to me as a minister in the State of Florida, I pronounce that you are husband and wife. (____), you may now kiss your bride. It is never being too old to hold hands. It is remembering to say, “I love you”. It is at no time taking the other for granted. It is having a mutual sense of values and common objectives; it is standing together facing the world. It is doing things for each other, not in the attitude of duty or sacrifice, but in the spirit of joy. It is not expecting perfection in each other. It is cultivating flexibility, patience, understanding, and a sense of humor. It is having a capacity to forgive and forget. It is a common search for the good and the beautiful. It is not marrying the right partner; it is being the right partner. And it is remembering that remaining devoted, confident and hopeful in one another are the secret ingredients, which will help you to remain two very happy people, richer for your oneness. (____), Do you take (____) to be your wife, do you promise to be loving and caring, to comfort her and to protect your love for her, honoring and respecting of her throughout all the events of your lives together? (____), Do you take (____) to be your husband, do you promise to be loving and caring, to comfort him and to protect your love for him, honoring and respecting of him throughout all the events of your lives together? Today I give myself to you and ask for your tomorrows. I promise to love you more than anyone else can; to give you my strength and ask for yours in return; to help you in good times and in bad. I give you all my trust and ask you to accept me as your husband. Today I give myself to you and ask for your tomorrows. I promise to love you more than anyone else can; to give you my strength and ask for yours in return; to help you in good times and in bad. I give you all my trust and ask you to accept me as your wife. (____), take this ring as a symbol of my devotion to you, of the gift of love that has come to us and my desire to live my life with you. This sand is symbolic of two people as two separate people in their own right. By the joining of these two colors of sand into one, this symbolizes the strength and unity of two into one, depicting, (____ and ____’s) belief that together they can become greater than each could alone. (____ and ____), you have expressed your love to one another by the giving of a commitment and the promises you have just made. So it is with these in mind and by the authority given to me as a minister in the State of Florida, I pronounce that you are husband and wife. (____ and ____), never forget the beginning of your love for one another, take care of it, nurture it, and allow it to grow strong and firm in the years that are to come. Always concentrate on making each other feel happy and secure in your commitment to one another. Always rely on your ability to keep the promises you have made to one another today and always love one another. This is the time you have chosen to become husband and wife. We are here, not only to witness your commitment to each other, but also to wish you both every happiness in your future life together. Within its framework of commitment and loyalty marriage enables the establishment of a home, where through trust, patience and respect, the love and affection which you have for each other may develop into a deep and lasting relationship. We who are witnessing your marriage, hope that despite the stresses inevitable in any life your love and respect for each other and your trust and understanding of each other will increase your contentment and heighten your joy in living. Find things within yourself, then you can share them with each other. Do not fear this love. Have an open heart and a sincere mind. Be sincerely interested in each other’s happiness. Be constant and consistent in your love. From this comes security and strength. All that we love deeply becomes a part of us on this day of your marriage. Try to commit yourselves fully and freely to each other. Before you are joined in marriage in my presence and the presence of these your family, friends and witnesses, I am to remind you of the serious and binding nature of the relationship you are now about to enter. I shall now ask you to make your marriage vows. Groom: (____), with this ring, I thee wed.
Bride: (____), with this ring, I thee wed.
You have consented together to be bound to one another in lawful marriage. You have made special promises to each other which have been symbolized by the joining of hands, taking of vows and by the giving and receiving of rings. This is the time you two have chosen to become husband and wife, which is an institution ordained by God and recognized by the state and is not to be entered into lightly or unadvisedly. We are here, not only to witness your commitment to each other, but also to wish you both every happiness in your future life together. Two lives, two people, so very different, yet so similar. Together we stand as one, sharing our future as it comes. The past is that, past. Buds are yet to blossom, with care and trust, the best is yet to be revealed. Honesty and kindness, are the fruits of love. Lord bless this day and always to enrich us so our love will never end. Before you are joined together in marriage in my presence and in the presence of these your family and witnesses, I am bound to remind you of the solemn and firm nature of the relationship into which you are about to enter. Marriage as most of us understand it, is the voluntary commitment of a man to a woman and a woman to a man to the exclusion of all others and is entered into with the desire, the hope and the firm intention that it will last for life. Husbands, love your wives even as Christ also loved the church and gave himself for it. So ought men to love their wives as their own bodies. He that loveth his wife loveth himself. For this cause shall a man leave his father and mother and shall be joined unto his wife and they two shall be one flesh. However each one of you also must love his wife as he loves himself and the wife respect her husband. And Ruth said, “Entreat me not to leave you or to return from following you; for where you go I will go and where you lodge I will lodge; your people shall be my people and your God my God; where you die I will die and there will I be buried. May the lord do so to me and more also if even death parts me from you. Minister: We shall now say your vows. 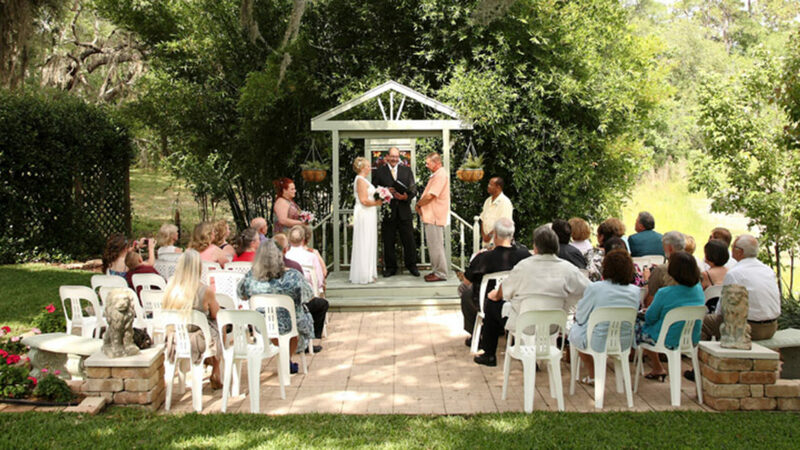 Groom: I (____) affirm my love to you (____) as I invite you to share my life. I promise always to respect your needs. I will endeavor through kindness, unselfishness and trust to achieve the warm rich life we now look forward to. To this end I call upon all present to witness that I take you (____) to be my lawful wife, to have and to hold, from this day forward, for better or for worse, for richer or for poorer, in sickness and in health while we both shall live. Bride: I (____) affirm my love to you (____), as I invite you to share my life. I promise always to respect your needs. I will endeavor through kindness, unselfishness and trust to achieve the warm rich life we now look forward to. To this end I call upon all present to witness that I take you (____) to be my lawful husband, to have and to hold, from this day forward, for better or for worse, for richer or for poorer, in sickness and in health while we both shall live. (____); with this ring I thee wed. Take it and wear it as a symbol of the vows I have made to you today. Love is never boastful or conceited, it is never rude or selfish, it does not take offense and is not resentful. Love takes no pleasure in other people’s faults, but delights in the truth. It is always ready to excuse, to trust, to hope. It is always ready to endure whatever comes. True love does not come to an end. You have declared before all of us that you will live together in marriage. You have made special promises to each other, which have been symbolized by the joining of hands, taking of vows and the giving and receiving of two rings. By the authority vested in me as a Minister in the State of Florida, I now pronounce you to be husband and wife. On behalf of __________ and __________, I welcome you and thank you for gathering here on this beautiful day to witness the marriage between this man and this woman. The fact that you are here today is a testament to the amazing love and support they have. You have given them much happiness, love, warmth, and guidance through the various stages of their lives. They would like to sincerely thank you for being here to celebrate their big day. I have also been asked by __________ and __________ to thank their parents for the wonderful lives they have given them, for the hard work and guidance they have provided, for their everlasting love, support, and encouragement. It is from them that they have learned the true meaning of love, friendship and family. For __________ and __________, marriage is an affirmation of life, an undying commitment, a spiritual, emotional, and intellectual bond between two people. It is created from the purest of friendship, respect and love. The institution of marriage is not to be entered into lightly, because it symbolizes commitment on every level. Together you will continue to meet the challenges and obstacles of life head on. Marriage is an adventure in the most intimate of human relationships. It is the mutual commitment of two people sincerely in love who share the same dreams about life. It is a sharing that does not diminish but enhances the individuality of each partner. The marriage between __________ and __________ does not mark the beginning of a new relationship; rather, it is an acknowledgment and celebration, of a relationship that has been flourishing since they met. For __________ and __________, love is the longing two people feel for one another. It is the need to share the warmth, serenity and peace two people can give to one another. A simple touch, a hand held at a time of uncertainty. This is what it means to be intimately human. Love is life’s highest emotion. It makes us less selfish, it makes our personalities grow, and it makes our lives more meaningful. It is caring about the welfare and happiness of your spouse as your own. Love makes burdens lighter because you divide them. It makes joys more intense because you share them. And it makes you stronger so you can reach out and become involved with life in ways you dared not risk alone. A successful relationship takes more than just love. It takes trust, to know in your hearts that you want only the best for each other. It takes dedication and communication, to stay open to one another, to learn and grow, even when it is difficult to do so. Most importantly it is essential to keep God in your relationship. When making decisions in your lives allow God to guide you because then his blessing will be upon you. If you maintain him in your life it will form a threefold cord which cannot quickly be torn in two. You have chosen to walk through life together. There is no truer statement of love. The choice was not made by any one moment, but by being together you grew to realize that you belonged together and that you fulfilled each other’s needs. You have come to thrive upon each other’s presence, loyalty and wisdom. The foundation of your love is profound friendship. A friendship you have nurtured until at last you realized that you wanted to be together always. The commitment you make today will be the foundation on which you will build your life together. Now for the exchange of vows, please repeat after me. Let these rings be a sign of the commitment made. __________ and __________, you have given and pledged your promises to each other, and have declared your everlasting love by exchanging the rings. Your vows may have been spoken in minutes, but your promises to each other will last until your last breath. As have pledged themselves to meet sorrow and happiness as one family before God and this community of friends, I now pronounce them husband and wife. On behalf of __________ and __________, I welcome you and thank you for gathering here on this beautiful day to witness this celebration of marriage between this man and this woman. This time, before God, in this beautiful setting we will stand, side by side, hand in hand, as we marry again. God’s children we are and God’s children we’ll be; we are much wiser now, than previously. Dear Lord, You have blessed us in many great ways, thank You for each other, and many happy days. Thank You for health, for food and our home, but mostly Lord, for not leaving us alone. Thanks for the children and grandchildren to come – all the blessings You have given, even when we should have none. Please bless us today as our vows we renew, on this special day, as we stand before You. Good relationships never stop growing. Like fine wine, they get better with age. ____ and ____ were married on _____ and you have now been married ____ years and through all the years of your journey together, you have now come to this beautiful setting, so that you could renew your vow and commitment of love for each other. Many couples tend to think of marriage as a 50/50 proposition. Actually, the best relationships are If you both will give 100% unconditionally. Then you will both have a formula likely to continue to bring both of you happiness for a lifetime. With this understanding, do you ____, continue to take ____ as your beloved wife? Will you continue to be a tender, faithful husband? Will you continue to love and cherish her, in sickness and in health, for richer for poorer, for better for worse, and keep yourself only unto her? With this understanding, do you ____, continue to take ____ as your beloved husband? Will you continue to be a tender, faithful wife? Will you continue to love and cherish him, in sickness and in health, for richer for poorer, for better for worse, and keep yourself only unto him? ____ and ____ have rings as the outward symbols of your ongoing commitment to each other. ____, hold ____’s hand, touch her ring, symbolically giving it to her again, and say to her these words. ____, hold ____’s hand, touch his ring, symbolically giving it to him again, and say to him these words. ____ and ____, having witnessed your vows of affirmation with all who are assembled here, and by the authority of love itself, I do affirm that you have expressed your desire to continue as husband and wife. Ladies and gentlemen, it is my honor to present to you, once again as husband and wife: ____ and ____. We welcome you to this moment in your lives and to the place you have come to in each other’s hearts. We join with you on this day, as you commit before God and humanity to be united as man and woman and that from this point forward you shall live as one. _____ and _____, we live at a time when very little in life is considered sacred. One thing must remain so, however, or all the world disintegrates. That is and shall be, an agreement between two people. This day we celebrate a sacred agreement between the two of you. I congratulate you on the journey of your live’s, on the strength and the courage it has taken each of you to make your way to this place. You receive on this day the blessing thereof, for yourselves and all the world. _____ is God’s gift to you, but she is not a gift intended for you alone. You are asked by God to so love this woman, that in your love she might find herself as God has created her, so beautiful and strong and brave and true, that the entire world might be blessed by the presence of a woman who shines so. May she relax in your arms as she has never relaxed before. May she know, from now on, that there is one on whose love she can depend forever. And so it is with you also, _____, that although _____ is God’s gift to you, he is not a gift for you alone. It is God’s will that in your love, this man might find within himself a greater sense of who he is meant to be. You are asked by God to see the good in this man, to accept him for who he is and who he shall be, that thus he might be healed and made strong. In this way, God’s purpose shall be accomplished in this relationship. May this man find, literally the kingdom of heaven through the love you share. Our prayer for both of you is that you might find in each other’s love such profound acceptance and total release, that together you might experience the forgiveness that shall free the world. May you create, with God, a piece of heaven on earth. Into a darkened world the Lord has sent your love for one another, and accomplished between you, the miracle that will heal us all. From this point forward, _____’s needs will carry the same priority as your own. Likewise, from this point forward, _____’s needs will be seen to be as important as your own. You shall not be as two conflicting or competing forces, but rather the energies of your lives shall blend into harmony and oneness through the grace of God. The angels shall dance between you, and they will rejoice in the dance of life you do together. To both of you, I enjoin you to release at this time all impediment to your joy. In this moment may you forgive each other any past transgressions, that you might enter this marriage reborn. Allow the waters of forgiveness to wash you clean. You are given the chance to begin your lives again this day, as God grants you radical renewal through the power of this commitment. You commit to a compelling future for yourselves. Receive fully God’s gifts on this day, as He receives so fully the gift of your love for each other. May you rejoice in Him, as He rejoices in you. _____ and _____, I remind you that the God who brought you together and nurtured this relationship is the key to your success as a married couple. May you allow into your marriage a mystical third, who shall guide your thinking and bless your home. Call on Him consistently and often. May this marriage be your sanctuary, your haven from worldly pain. _____, do you take this woman, _____ to be your lawful wedded wife, to love her and cherish her, honor and sustain her, through times of darkness as well as light, henceforth and forevermore? Do you promise that times of trouble will not deter you, or tempt you to forsake this love? Do you commit before God to honor this vow unto all your days? _____, do you take this man, _____, to be your lawful wedded husband, to love him and to honor him, nurture and sustain him, through times of darkness as well as light, henceforth and forevermore? Do you promise that times of trouble will not deter you, or tempt you to forsake this love? Do you commit before God to honor this vow unto all your days? With this ring, I give you my promise that from this day forward you shall not walk alone. May my heart be your shelter And my arms be your home. May God bless you always. May we walk together through all things. May you feel deeply loved, for indeed you are. May you always see your innocence in my eyes. With this ring, I give you my heart. I have no greater gift to give. I promise I shall do my best. I shall always try. I feel so honored to call you my wife. I feel so blessed to call you mine. May we feel this joy forever. I thank God. I thank you. With this ring, I give to you my promise that from this day forward you shall not walk alone. May my heart be your shelter And my arms be your home.May God bless you always. May we walk together through all things. May you feel deeply loved, for indeed you are. May you always see your innocence in my eyes. With this ring, I give you my heart. I have no greater gift to give. I promise I shall do my best. I shall always try. I feel so honored to call you my husband. I feel so blessed to call you mine. May we feel this joy forever. I thank God. I thank you. And now, _______ and ______, by the authority vested in me by the state of Florida, but much more important, by the authority invested in me by the fact that I believe in the power of your agreement this day, the look of love in your eyes, and the seriousness with which you make this commitment; it is my honor and my delight to now pronounce you, henceforth from this moment husband and wife. Ladies and Gentlemen, I introduce to you the new Mr and Mrs. _______. Marriage is the promise of hope between two people who love each other sincerely, who honor each other as individuals, and who wish to unite their lives and share the future together. In this ceremony, you dedicate yourselves to the happiness and well-being of each other, in a union of mutual caring and responsibility. Rejoice that out of all the world you have found each other; and that you will henceforth find the deeper meaning and richness of human life in sharing it with each other. The two of you, who have stood apart, come now to declare your love, and to be united facing the world together. May you learn to share life’s trials, and grow in understanding and devotion to each other. May love and companionship abide in the home you establish. May you wake up each morning glorying in the joy that you awake once again next to your chosen one, your beloved. May you always need one another, not to fill an emptiness, but to help each other know fullness. May you have happiness, and may you find it in making one another happy. May you have love, and may you find it in loving one another. If you, ____, and you, ____, have freely and deliberately chosen each other as partners, and you know of no just cause why you may not be so united, please turn and face each other, and take each other’s hands. The wedding ring is a symbol of unity, a circle unbroken, without beginning or end. And today you give and receive these rings as demonstrations of your vows to make your life one, to work at all times to create a love that is whole and unbroken, and to love each other without end. ____, you may now kiss your bride. Ladies and Gentlemen, I introduce to you the new Mr and Mrs. _____. Dear friends, we have come together in the presence of God to unite this man and this woman and to witness the marriage of _____ and _____, and to rejoice with them. Marriage is a gift of God and a means of grace, in which man and woman become one flesh. It is God’s purpose that, as husband and wife give themselves to each other in love, they shall grow together and be united in that love as Christ is united with his Church. The union of man and woman in heart, body, and mind is intended for their mutual comfort and help, that they may know each other with delight and tenderness in acts of love. In marriage, husband and wife give themselves to each other, to care for each other in good times and in bad. They are linked to each other’s families, and they begin a new life together in the community. It is a way of life that all should reverence, and none should lightly undertake. If anyone present knows a reason why _____ and _____ may not lawfully marry, they must declare it now. _____ and _____, if either of you knows a reason why you may not lawfully marry, you must declare it now. _____ and _____ have come to enter this holy state. They have complied with Civil and Canon Law and have been duly prepared to enter into marriage. They will each give their consent to the other; they will exchange solemn vows, and in token of this, they will (each) give and receive a ring. Holy God, you have taught us that those who love abide in the light of your presence. Grant to these your servants that loving one another they may grow in your grace and continue in your care until their lives’ end. through Jesus Christ our Lord. Congregation Thanks be to God. The Minister may address the following question to the families of the bride and Groom. Do you, members of the families of _____ and _____, give your blessing to this marriage? The Minister addresses the following to all present. The bride and groom face each other and join hands. I _____ take you _____ to be my wife, to have and to hold from this day forward; for better, for worse, for richer, for poorer, in sickness and in health, to love and to cherish for the rest of our lives, This is my solemn vow. I _____ take you _____ to be my husband, to have and to hold from this day forward; for better, for worse, for richer, for poorer, in sickness and in health, to love and to cherish for the rest of our lives, This is my solemn vow. They loose hands. The Minister receives the ring(s) and addresses the congregation in these or similar words. let us ask God to bless these rings, that it may be a symbol of the vow and covenant _____ and _____ have made this day. Blessed are you, God of steadfast love, source of our joy and end of our hope. Bless these rings given and received that it may be a symbol of the vow and covenant _____ and _____ have made this day. _____, I give you this ring as a symbol of my vow. With all that I am and all that I have I honour you in the name of God. The bride and Groom join right hands. _____ and _____ have joined themselves to each other by solemn vows, signified by the joining of hands and the giving and receiving of a ring. I declare, in the name of God, that they are husband and wife. Those whom God has joined together let no one put asunder. The Minister says the following prayer. Blessed are you, gracious God, creator of heaven and earth; we give you thanks and praise in the assembly of your Congregation. You made us in your image: male and female you created us. You give us the gift of marriage and consecrate the union of man and woman. You call us to reflect your faithfulness as we serve one another in the bond of covenant love. By the power of your Holy Spirit, pour out the abundance of your blessing upon this man and this woman. Defend them from every enemy. Lead them into all peace. Let their love for each other be a seal upon their hearts, a mantle about their shoulders, and a crown upon their foreheads. Bless them in their work and in their companionship; in their sleeping and in their waking; in their joys and in their sorrows; in their life and in their death. Finally, in your mercy, bring them to that table of your holy mountain where you prepare the eternal feast for all Congregations of the earth. The Minister adds this blessing. Minister The peace of the Lord be always with you. to watch our life unfold, our dreams, one by one, come true.